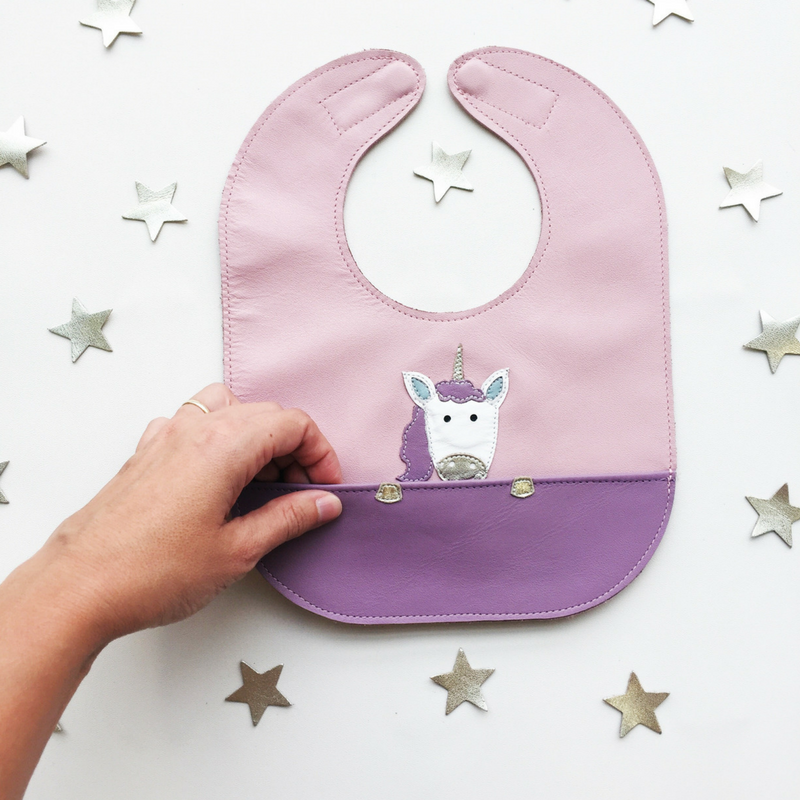 Unicorns are magical, colourful, beautiful mythical creatures and they are right on trend. 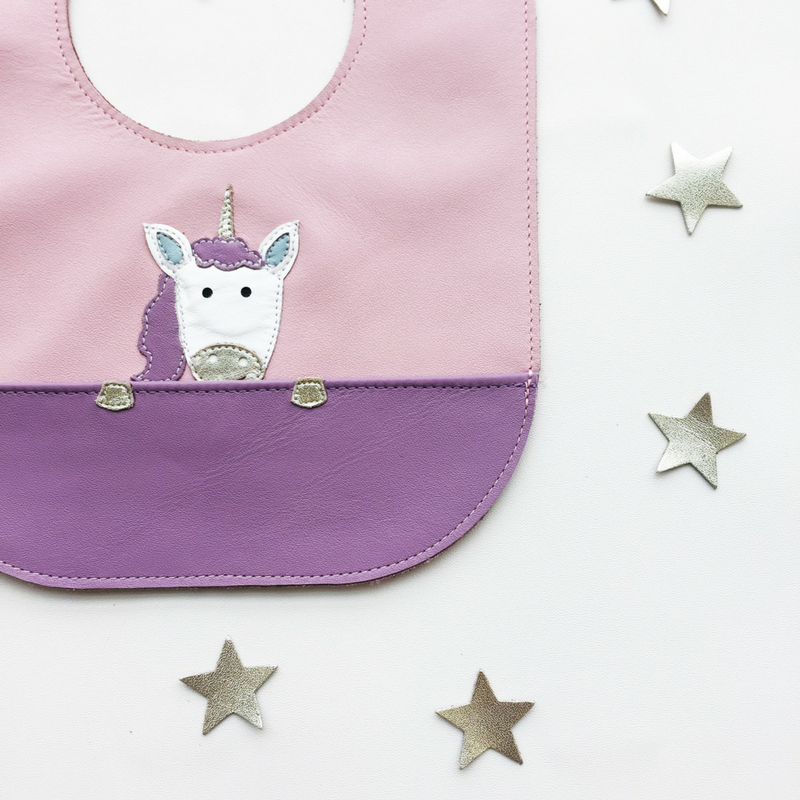 After numerous custom orders and requests, we have decided to add a very special Unicorn Bib to our collection as part of our NEW Touch of Gold collection! 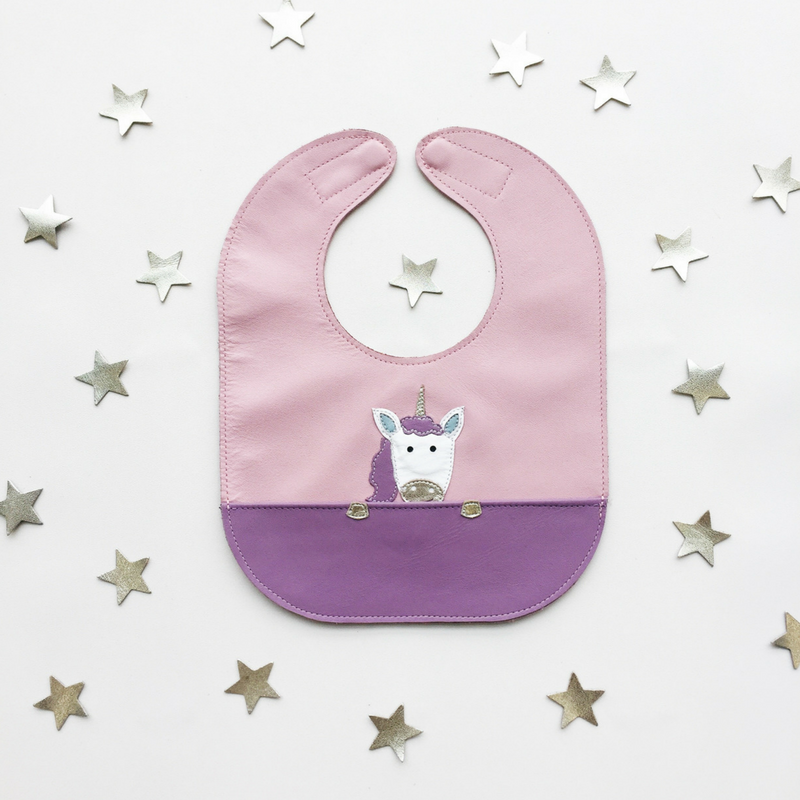 The white unicorn with gold and iceberg accents is on our seashell bib with a lilac pocket. 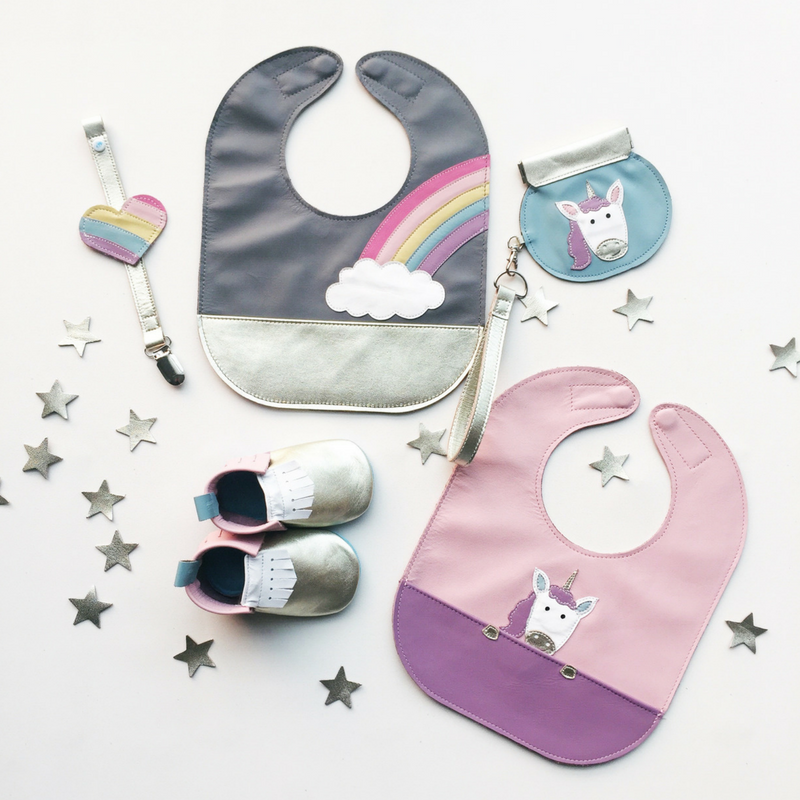 It makes the perfect gift for any Unicorn lover! Personalize the pocket to make it extra special. 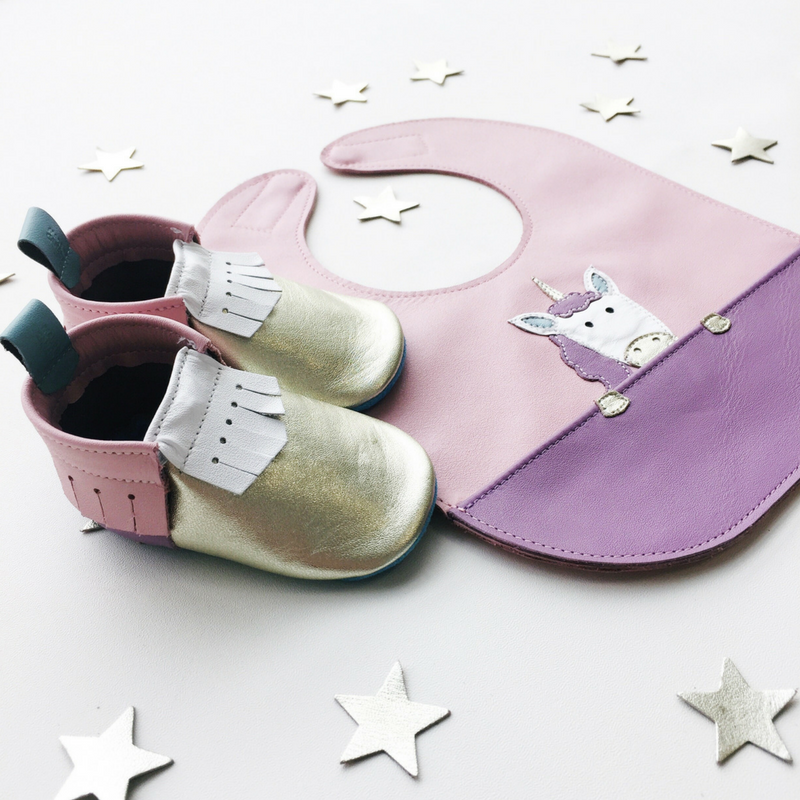 We may not like what were eating but we love our mally bib. Zoe loves wearing her mally bib. 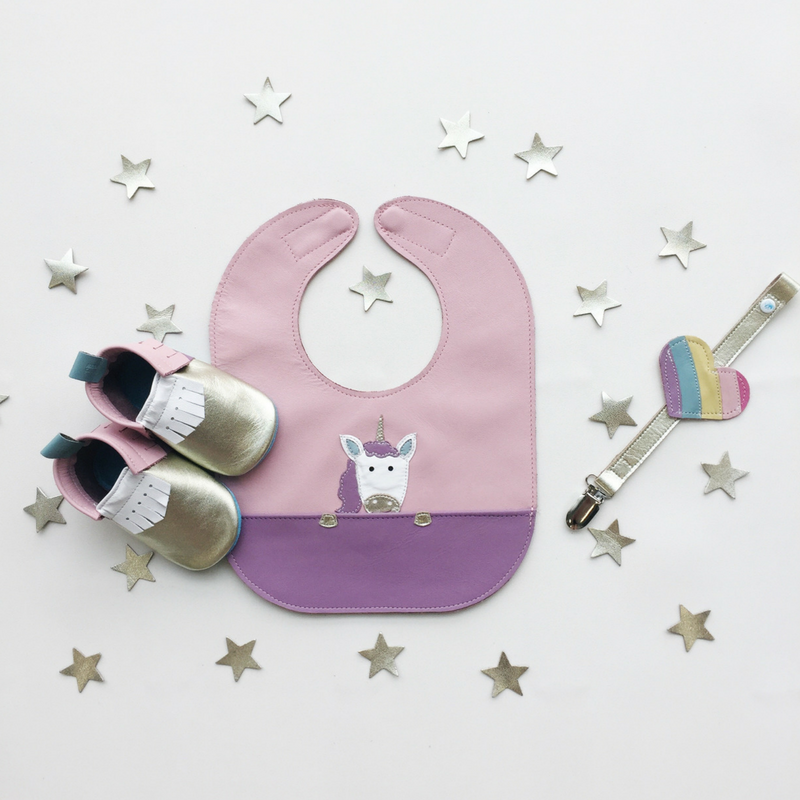 We wear it to eat and flip it around for craft time. She places her crayons in the pocket preventing them from getting lost.